We just enjoyed a quick family weekend in Santa Cruz, Calif. It’s less than a 2 hour-drive from our home if the traffic through San Francisco is cooperative. We went so my husband could surf, but we ended up just playing on several beaches (there are many incredible beaches all along the way depending on which route you follow), and taking a stroll through the national park just outside of town, where we saw (and hugged!) 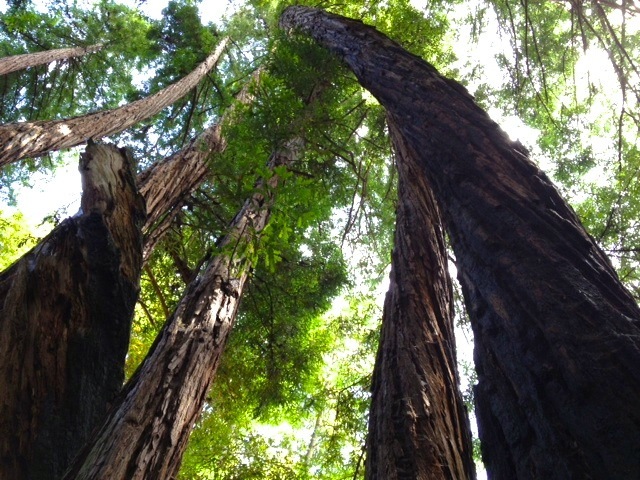 some amazing old-growth redwoods. I just had to include a picture of some of the redwoods, because we saw the most incredible sight–normally “stick” straight redwood trees twisted by earthquakes. We also ate breakfast on our second day at a great little restaurant (Cliff Cafe) near one of the favorite local surf spots. It was there that I ordered a delicious shake for the kids, which was so delicious, that I immediately set about trying to replicate it the second we got home. Maybe you’re like me, i.e., you love peanut butter in things, even though you don’t love peanut butter by itself or in a sandwich. 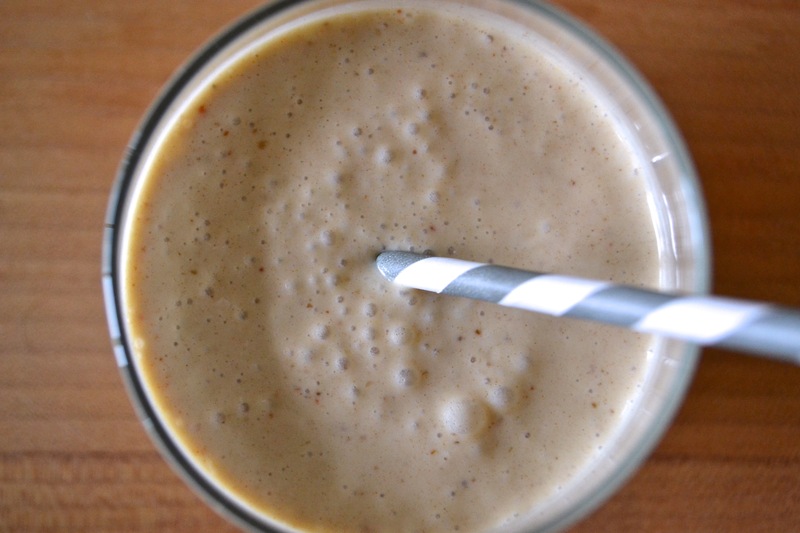 If that’s the case, you will love this shake and appreciate the fact that there is no added sugar–just whole foods. The restaurant used a lot more ice than I list below, but you can alter it however you see fit–perhaps depending on what time of day you whip this up and/or how warm the weather is. 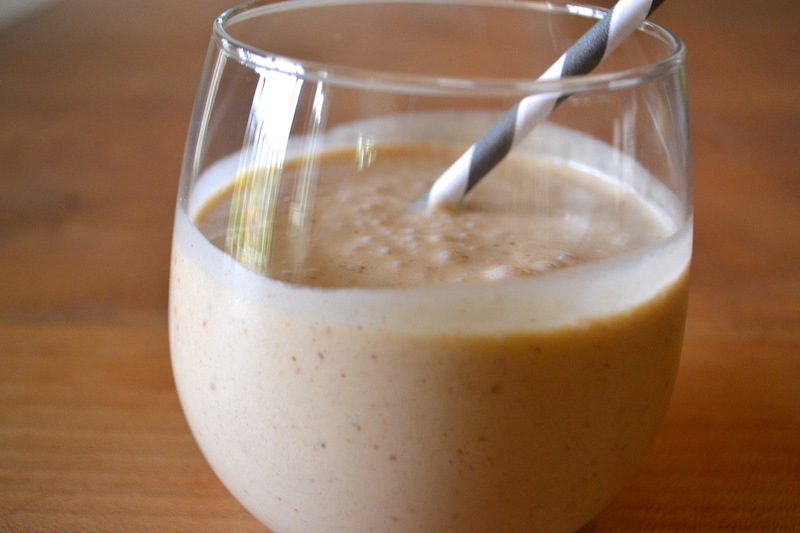 Blend everything in a blender, such as the Vitamix, until completely smooth and creamy.